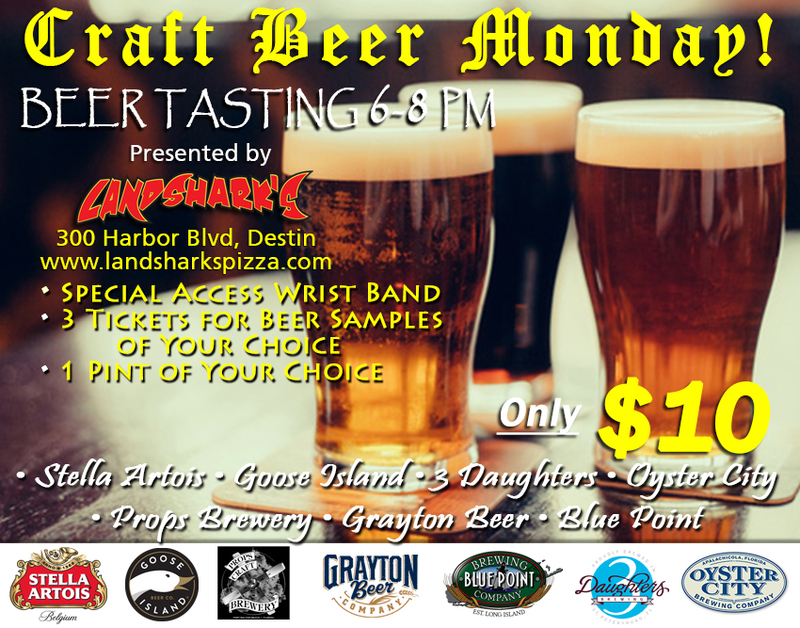 / Best Burger Deal in Destin FL / Grilled Burger & Beer Monday $9.99 Basket & Brew COLTS vs TITANS|You Score, We Pour|CRAFT BEER TASTING@6PM! Grilled Burger & Beer Monday $9.99 Basket & Brew COLTS vs TITANS|You Score, We Pour|CRAFT BEER TASTING@6PM! 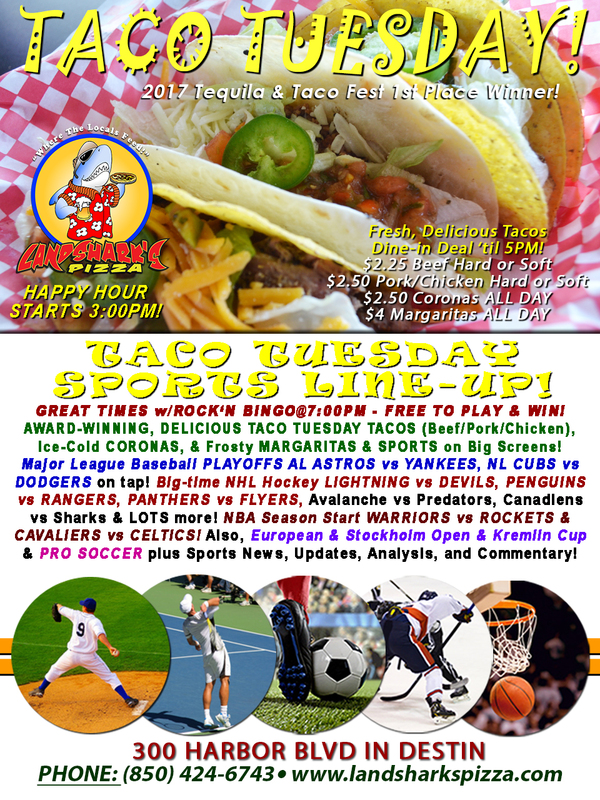 Hot Major League Baseball Playoffs action for your Monday pick-me-up! Feel like a real American with GRILLED BURGER & BREWSKIES and PREMIUM CRAFT BEER TASTING to go with some great game-time specials! YOU SCORE, WE POUR! Wear your COLTS or TITANS jersey and win a FREE BEER POUR with every touchdown! ‘SPIN THE WHEEL’ DEALS Every Hour! $8 Shock Top Pitchers|$8 Domestic Pitchers|$12 Domestic Buckets|$6 Bloody Brian Cocktail|$6.99 Bratwurst Sauerkraut & Seasoned Fries! Eat like royalty with our custom-built hot, juicy, cheesy, melty feast of a burger accompanied by succulent seasoned fries & your choice of icy-cold Draft Beer or a flavorful Soft Drink for only $9.99 (’til 5PM)! 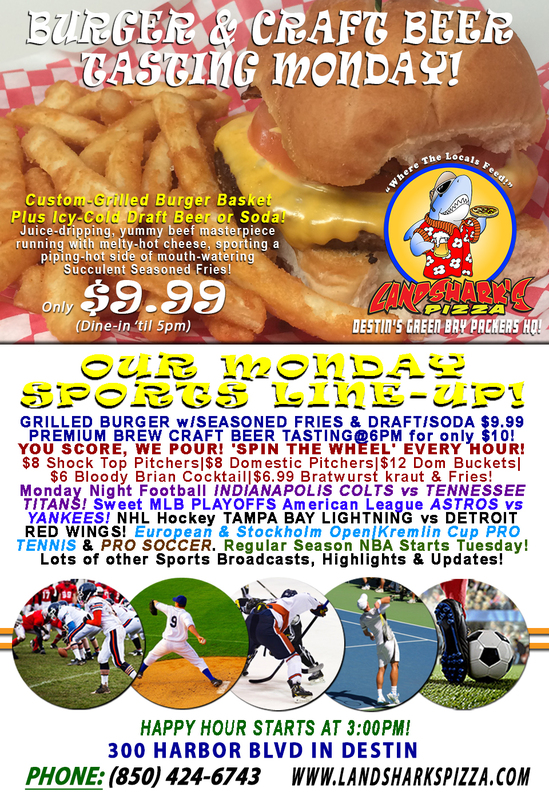 HOT SPORTS ON OUR ARMY OF BIG SCREENS – MONDAY NIGHT FOOTBALL INDIANAPOLIS COLTS vs TENNESSEE TITANS! MLB PLAYOFFS American League ASTROS vs YANKEES! NHL Hockey TAMPA BAY LIGHTNING vs DETROIT RED WINGS. European & Stockholm Open PRO TENNIS & PRO SOCCER coverage & plenty other Sports Broadcasts, Updates, Analysis, and Commentary! NBA This Week: Regular Season starts TUESDAY! NASCAR This Week: (Sat) Xfinity Series Kansas Lottery 300 & (Sun) Hollywood Casino 400@Kansas Speedway. NFL This Week: (Thurs) Chiefs vs Raiders. Pro Tennis This Week: Stockholm Open, Kremlin Cup, & European Open. PGA Tour This Week: The CJ Cup@Nine Bridges. 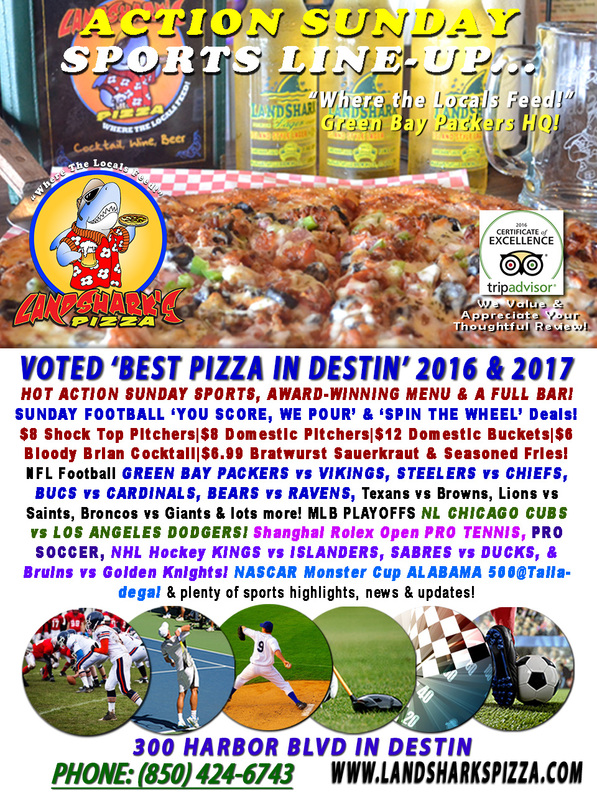 Previous Post: « Sunday MLB Playoffs, STEELERS vs Undefeated CHIEFS|YOU SCORE, WE POUR Specials, NASCAR ALABAMA 500 & More!